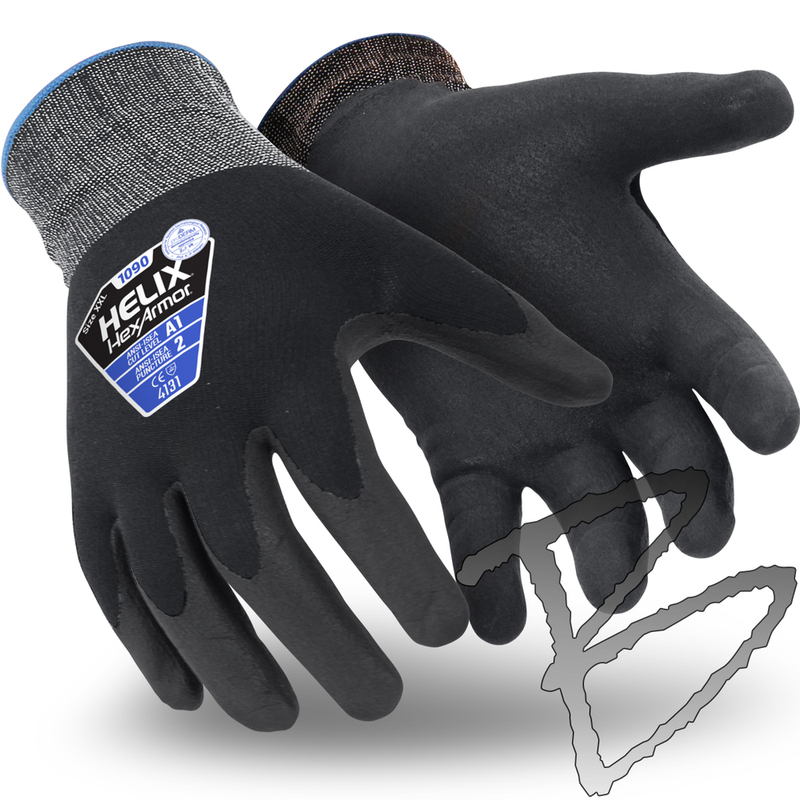 Helix® series gloves offer a wide variety of grip options to provide users with the appropriate grip for the task at hand. 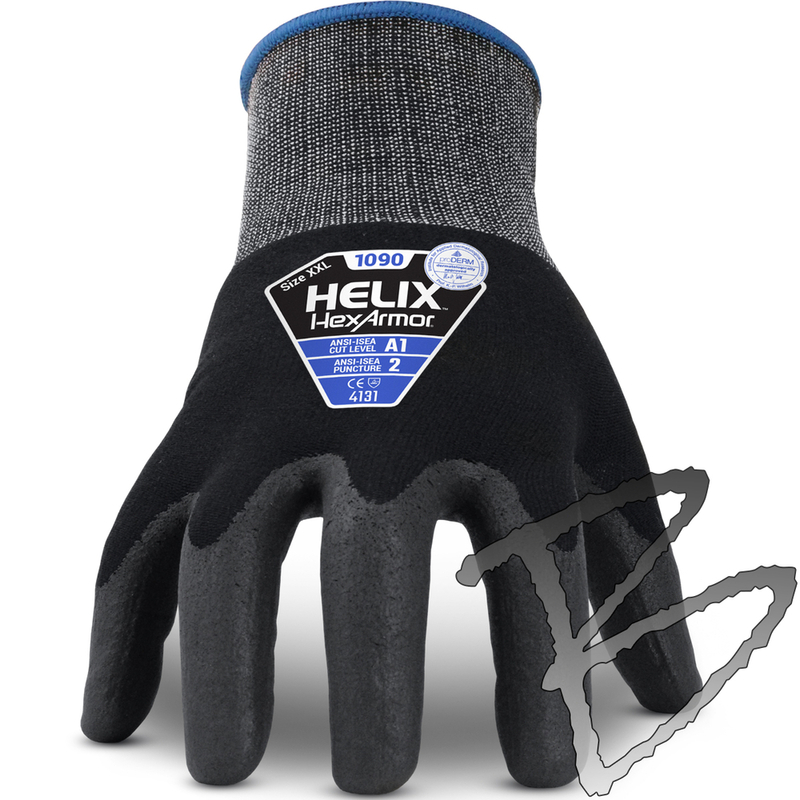 HexArmor® has you covered for any working condition. Extra Grip (XG) Nitrile Grip: Solvent-free and derma safe nitrile coating that offers excellent grip and dexterity. 15G Nylon/Elastane: The silky thermoplastic polymers of nylon are wound together with elastane, a synthetic yarn known for its exceptional elasticity. Together, these yarns give gloves flexibility and movement while providing a high level of abrasion resistance.